Fraud is a growing and global problem. Modern frauds are often complicated and invariably cross national boundaries, further compounding the difficulties associated with determining if a fraud has taken place and if so, who has perpetrated it. This makes the problem of seeking redress and recovery that much harder: victims are confused and not sure what to do next, or who they can turn to for help. They will quickly find that fraud is a low priority for local law enforcement. In case of international fraud it is always recommended to have a local partner you can trust and rely on. 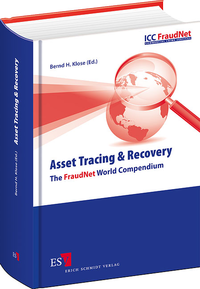 The members of FraudNet will assist you in tracing and recovering stolen assets. FraudNet provides fraud victims with a first local-point-of-contact service using legal specialists that can help, and the resource of a global network of partners to investigate and take action against fraudsters in foreign jurisdictions, increasing the chances of recovering losses. If you think you are, or may be, a victim of fraud and are not sure what to do next, why not contact your nearest FraudNet member and find out.